Brazilian Samba with its 2/4 rhythm arose from a mixture of African and European influences in the 1500s. Brazilian Samba with its 2/4 rhythm arose from a mixture of African and European influences in the 1500s. The Brazilian Samba dance is one the most popular dances in the world from South America. The dance has evolved over time to become a cultural identity for Brazilians. Tracing its influence from native Angolan and Congo genres, the modern dance is a testament to different cultures. 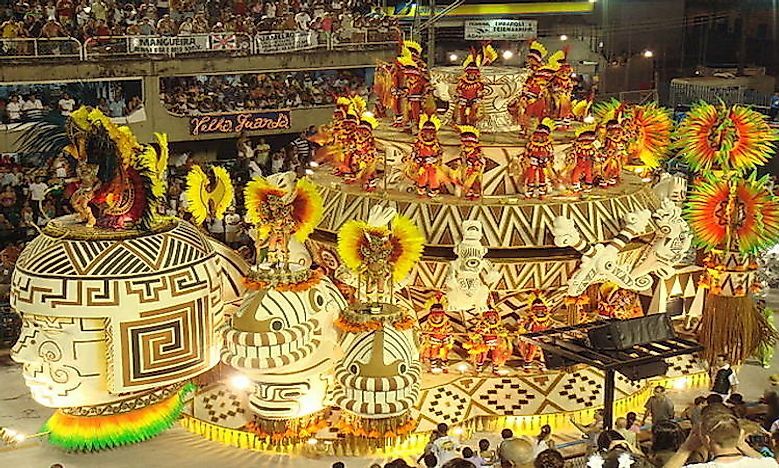 The Samba dance was introduced by African people on arrival into Brazil in the 19th century. The dance is characterized by rapid rhythmic steps and a swaying, rocking motion from the dancers made to lively beats. The dance is mostly done in 2/4 time, but it can also be done in three steps to make a 3/4 rhythm. Samba dance is rich in African beats and customs and has incorporated other culture throughout its development, mostly from Latin America. European colonizers in Latin America brought African slaves who had their unique culture which was expressed mainly through song and dance. Samba emerged as a one-person dance and was mostly done in private since the upper-class Brazilians disapproved of the dance as being obscene. When slavery was abolished it allowed a considerable popularity of the dance, but it was not until the 1920s when the dance became widely accepted. Samba Gafieira: this partner dance became popular in the 1940s in Brazil’s clubs and discos and is a challenging dance to perform. Samba no pé: this dance is performed solo and is characterized by basic 2/4 rhythm and incorporates three steps with each measure. Samba Axé: this dance is performed solo to slow or fast beats and is defined by rhythm instead of steps. Samba Pagode: this dance originated in the city of Sao Paulo, and it is done intimately to a slow tempo. Samba Reggae: this dance originated from Bahia to become one of the most popular Samba styles. The dance is done to rhythmic beats from Samba drums. One of the most famous practitioners of the dance is Carmen Miranda. She was an expert Samba dancer famous in Brazil who introduced the dance to the US after her move to Hollywood. Vania West is another famous dancer and choreographer and she is a professional Samba dancer, besides performing Jazz, Salsa, lambada, and dancing ballet among others. She has appeared in many television programs in Sao Paulo and Rio de Janeiro and has performed in many street carnivals. She moved to England in 1999 and taught Latin American dance. She has done Samba and other latin American dance shows in France, Belgium, Rome, Cyprus, Spain, Switzerland, Russia, Dominican Republic, Argentina, Venezuela, Dubai, India, and other African countries. Samba dance has contributed significantly to the development of Samba music. Instruments such as tartan and banjo were introduced with the re-emergence of Samba in the 1980s. Samba dance is one of the most popular dances in Brazil, and it is a symbol of cultural identity in the country. The dance transcends color and social class and is a unifying element in Brazil. 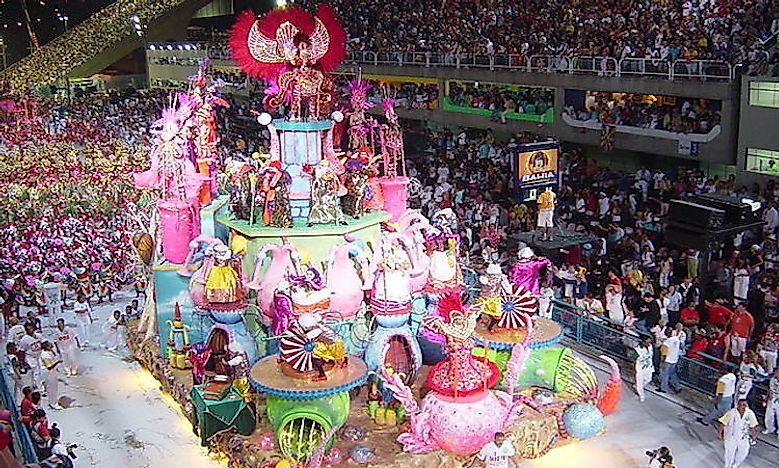 The dance is an important feature in carnival celebrations in Rio, and it is practiced throughout the year in places such as ballrooms and clubs. The dance has also inspired competitions across the world, and it is also used for fitness.